While maintaining a cozy, down-to-earth feel, the Greater Portland area is home to a multitude of working artists, writers and musicians. Portland’s downtown Arts District bustles with galleries, theatres and other venues for live music and performances. Nestled in the Arts District is Maine’s oldest public art museum, the Portland Museum of Art. The museum houses visual masterpieces from the 18th century to present day. A highlight includes a collection of the work of Winslow Homer, who made his home in nearby Prout’s Neck. 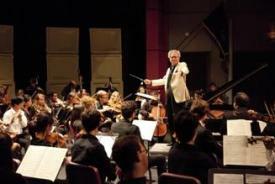 Portland is also home to the largest performing arts organization in Maine, the Portland Symphony Orchestra (PSO), offering concerts and programs from September until June. You can catch the PSO at its main performance venue, Merrill Auditorium, a beautiful and historic facility located in downtown Portland. Restored in 1997, the Merrill attracts performers from all around the world. Every month, visitors and locals alike swarm for Portland’s First Friday Art Walk, where artists and galleries open their spaces to the public. Peaks Island also holds an Art Walk on Saturdays in the summer. If architecture and history interest you, the Victoria Mansion is a must-see. Built originally as a summer home for a wealthy hotel owner, the mansion has been meticulously restored, and tours showcase an abundance of intricate woodwork, lush fabrics and stained glass. The Maine Historical Society, located in Portland’s cultural center, is the third oldest state historical society in America. 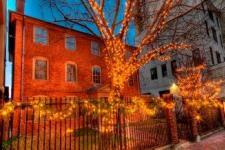 Another historical must-see while in Portland is the Wadsworth-Longfellow House, Maine’s first house museum. This historical landmark celebrates three generations of one family that contributed significantly to literary, political and cultural life in Maine and New England. If you’re travelling with children, you’ll want to stop by the Children’s Museum and Theater of Maine. Situated next to the Portland Museum of Art, the play space offers tunnels and tree houses, a real fire truck and a space ship for kids to explore. The Desert of Maine is another fun destination for families, where you can go on a tour of a unique glacier desert in Freeport. Mine for gemstones and fossils, take a hike on the many nature trails or stay a while in the adjacent campground. Portland is also home to several professional sports team. The Portland Sea Dogs baseball team and the newest addition, the Maine Red Claws basketball team, provide year-round opportunities for live sports action. 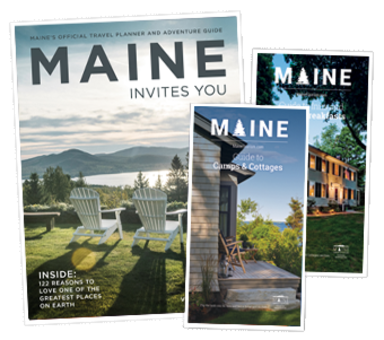 Start planning cultural activities in Maine’s Greater Portland and Casco Bay region today!